The proof is in the pudding with this game. Follow the scent of the cartoon pie all the way to a serene French town that features all sorts of delicious treats for you to sink your teeth into. 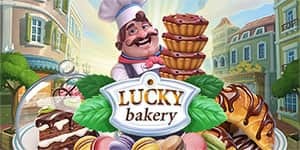 Lucky Bakery is an online Easy slots game filled with cakes, waffles, and a prize hamper scatter that will have you salivating at the mouth and returning for more and more. Foxium certainly don’t have years of experience, having only started in 2015, the content they have provided in their short time makes up for this lack of industry experience. Furthermore, It has signed a distributions contract with two of the most major casino businesses, in the casino-gaming industry, Microgaming and NYX Interactive. So, it is clear to see that their development has impressed so many people already! With Lucky Bakery, this is no exception, bake right in and see what fortunes and sweet treats await you! We love the games here at uk slot game and think you will too. Your dentist won’t thank us for getting you addicted to this game! With an array of sweet treats all on one screen, this is a sweet-tooth’s dream! 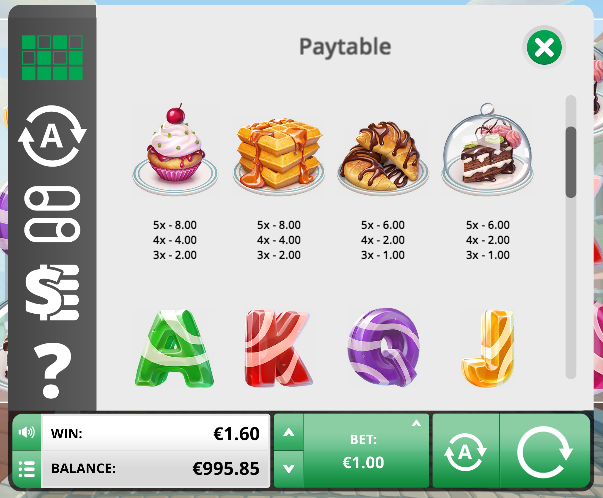 Creamy chocolatey cakes, warm syrupy waffles, tantalising sweets, and golden-baked pastries are on sale here in this delightful slot-game, lucky bakery! When it comes to home baked goods and a range of cafes, the first European city to come to mind is Paris and Foxium have delicately presented this scene in the background of the reels, as they are set against a traditional market street in the heart of Paris, with the Eiffel tower gleaming in the background. If you're interested, more casino promos are shown here. This 5-reel slot has 25 pay-lines for you to choose from, putting money on them all from a minimum bet would put your costs at just 25p, so this is a favoured penny slot-game, and for those wanting to stretch their luck and fortune, up to £62.50 can be placed on at a time and with a x500 multiplier up for grabs, the jackpot potential stands at over a dazzling 30k! The symbols on the reels represent delectable pastries, cakes and sweets, and with a match of 3 or more of the same symbol, there are a range of different multipliers that can be attained! However, the one symbol you will want to see 5 of is the baker wild symbol, which will reward you with the mammoth 500 multiplier as mentioned above. This symbol also acts out the usual wild purpose, where it will substitute the ordinary symbols for other ones that will help in creating matching combinations, which ultimately, will accumulate in bigger wins! As another bonus purpose, this wild symbol will also randomly double or treble the prize value, giving you an even better shot of increasing your bank balance! 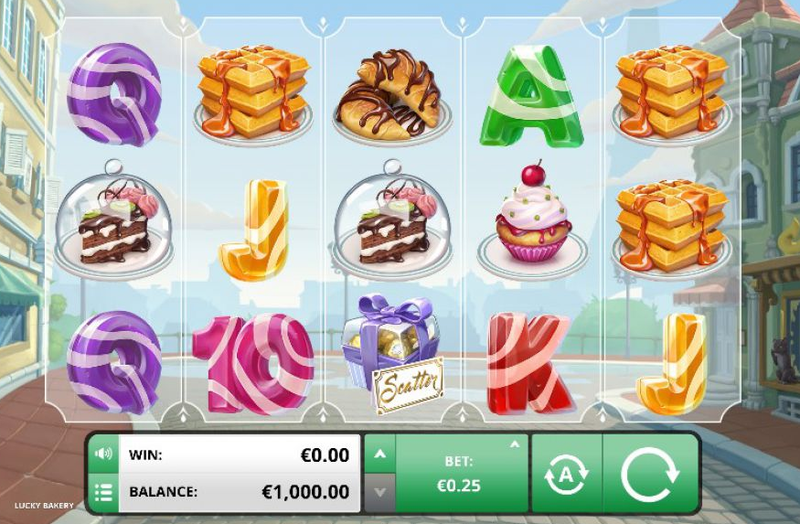 There is also the opportunity to land up to 7 free spins by finding 3 of the scatter symbol, which is represented by the luxuriously packaged cakes! Just when you thought you were stuffed to the brim with bonus features, Lucky Bakery will also award you with a random shuffle feature where the baked goods will be reshuffled to create a winning sequence – not random at all, as this will be unlocked after any non-winning spin! Play and deposit by phone today! The wide-ranging amount bonus features up for grabs in this game is exceptional. This game undoubtedly makes sure that you’re never bored and from just 25p per spin, there really is every opportunity to give this game a go – just save your calories to get the max enjoyment out of this game! Find out more popular online slots.